In Munchinbelle after paintball the ground was set for adventure with activities like tight rope walk, shaky bridge walk and Burma bridge trail in which ramalakshmi ended up proving most athletic person in the team by doing the activities twice. The special delicacy, Pepper Chicken was enjoyed by all. To relax, volunteers got the opportunity to canoe in the big reservoir. Everything from the scenic beauty to the still water touched their soul. Occasionally guys on the other shore chilled out on the beach after fari-stastic dumb-charades in chennai, and Some of them had a dip in Rock-on style jumping from the edge into the lake in bangalore. After that began the round of serious discussion over tea about issues like street children, it inspired the volunteers to carry on the things in bangalore but namma pasanga oru kuthaatam potu mudichaanga .Then, a journey back to home. Byju’s jokes, an integral part of the whole journey were both irritating and enjoyable at the same time. As the day came to an end, everyone had some memories from it that they would cherish for a long long time. 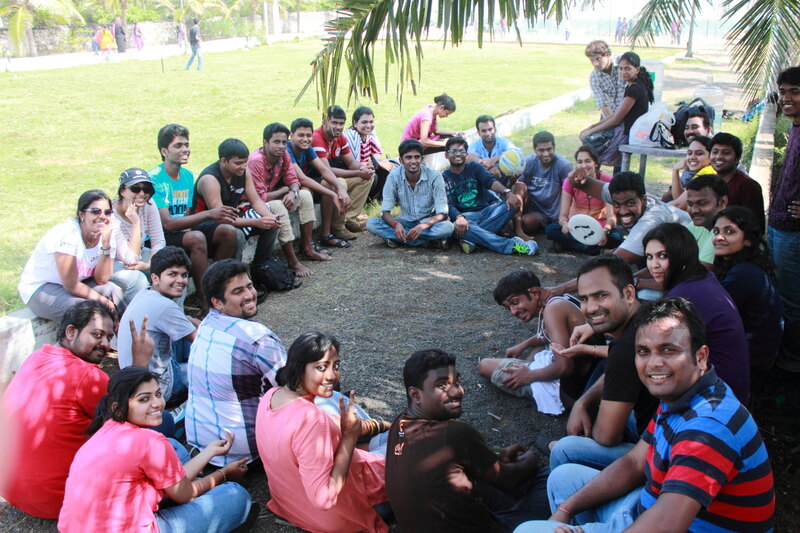 Posted in Lakshya and tagged Lakshya, Ripples, Ripples January 2015, vacation, Volunteer Engagement, Volunteer outing.